Researchers have developed a new ammonia-based battery system to convert low-grade waste heat into electricity. 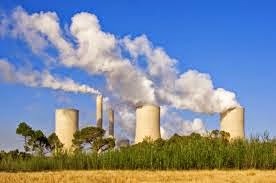 "The use of waste heat for power production would allow additional electricity generation without any added consumption of fossil fuels," said Professor Bruce E Logan from the Pennsylvania State University. "Thermally regenerative batteries are a carbon-neutral way to store and convert waste heat into electricity with potentially lower cost than solid-state devices," said Logan. Low-grade waste heat is an artifact of many energy-generating methods. In automobiles, waste heat generated in winter is diverted to run the vehicle heating system, but in the summer. Using low-grade waste heat from an outside source, the researchers distil ammonia from the effluent left in the battery anolyte and then recharge it into the original cathode chamber of the battery. The chamber with the ammonia now becomes the anode chamber and copper is re-deposited on the electrode in the other chamber, now the cathode, but formerly the anode. The researchers switch ammonia back and forth between the two chambers, maintaining the amount of copper on the electrodes. "Here we present a highly efficient, inexpensive and scalable ammonia-based thermally regenerative battery where electrical current is produced from the formation of copper ammonia complex," the researchers said. Researchers note that the ammonia liquid stream can convert the thermal energy to electrical energy in the battery. "When needed, the battery can be discharged so that the stored chemical energy is effectively converted to electrical power," they said. The thermally regenerative ammonia battery system can convert about 29 per cent of the chemical energy in the battery to electricity and can be greatly improved with future optimization The researchers produced a power density of about 60 watts per square meter over multiple cycles, which is six to 10 times higher than the power density produced by other liquid-based thermal-electric energy conversion systems. The researchers note that the current thermally regenerative ammonia battery is not optimised, so that tinkering with the battery could both produce more power and reduce the cost of operating the batteries. The researchers were able to increase power density by increasing the number of batteries, so that this method is scalable to something that might be commercially attractive. The study was published in the journal Energy and Environmental Science.